Today it's raining, so we had to cancel our walk to the beach with Little Man and his dad. 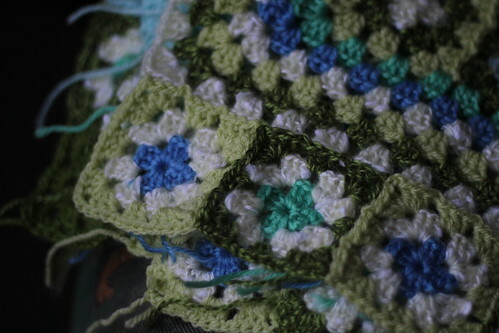 We are staying at home and my lovely husband cooks the dinner while I can sit with my Little Man and some crochet. 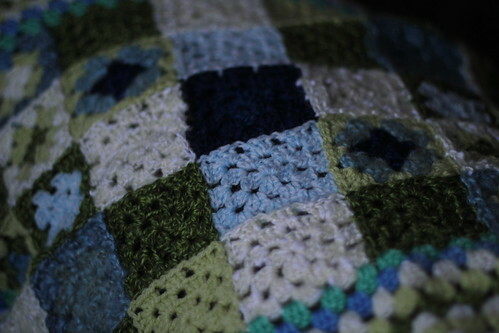 Now my big project on the go is a blanket I called "Green fields" because of the green and blue colours on it. 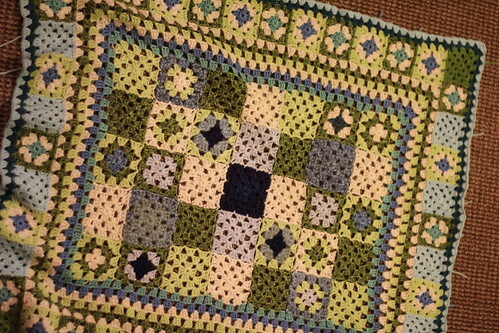 It all started in November a week before my little one was born, when I was checking out my stash and decided to use some odments of blue and green by crocheting small squares and joining them together.